You have to click over and see the rest of this house at Black Eiffel if you haven't already...its kinda amazing. 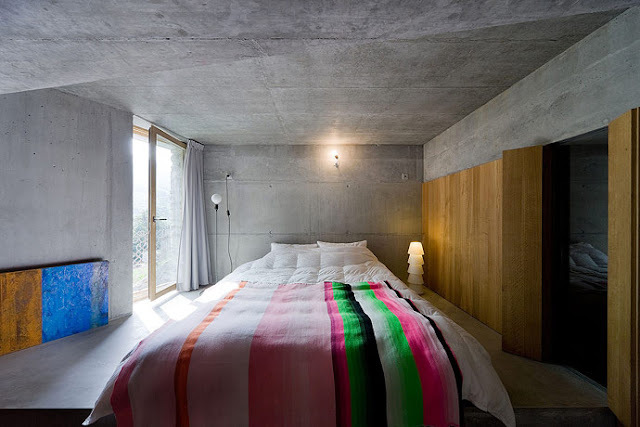 I completely love the contrast of the cool concrete and warm wood in the bedroom. Does anyone know anything about that chair in the bottom right of the living room pic? I will be very thankful if you do! PS. I think the scale and arrangement of the furniture in the second image is totally wonky. Villa Vals' is situated in Switzerland, and is designed by Christian Müller Architects and SeARCH. Looks like a Hans Wegner Papa Bear Chair from this angle. It's fabulous isn't it! I'm kind of loving the bunker chic vibe going on in the bedroom. 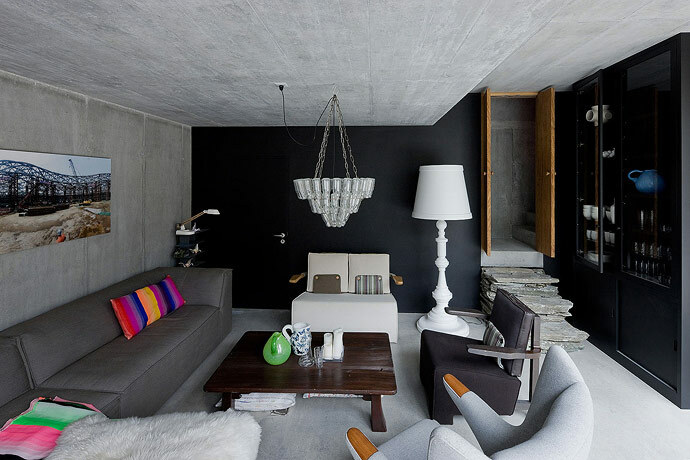 Really interesting space. Thanks for the link! Ahh, thank you guys very much! I'll be adding it to my "to buy after I win the lottery list"! i'm quite disoriented by the room, but i definitely appreciate the design sense of it.